It was one for the ages. Again. In a year with some terrible football games, way too many injuries, once again the Super Bowl was a shining light on the NFL. It's only been 12 hours since the game ended. My feelings are still raw. Trying to unpack the game, all the mistakes, or both High School Defenses who showed up to play last night. This wasn't a defense wins championships Super Bowl, this was an outright gun show, and whoever was left standing at the end was going to win. Nick Foles. How about Nick Foles. Is Nick Foles an elite QB? I mean, against that defense anybody could have been a star. Tom Brady. How about Tom Brady. Never would I have thought we should have run the ball more with the greatest of all time at QB. Regardless over 500 yards and 33 points in the Super Bowl, he did his job. You cannot let a backup QB put up 41 points against you in the Super Bowl, and that's it. That's where the game was won and lost. You can talk about the special teams, you can talk about Butler riding the pine, you can talk about Brady's comp%, this Patriots Defense was atrocious. The Kansas City Chiefs opening night game has come full circle. It hurts, but that is the same defense that showed up on night one this year. If the pieces remain in place I see no reason why we cannot get back to the Super Bowl in 2019. Oh wait, maybe the defense. The morning after the Super Bowl is one of three things. 1. Your team played and won the Super Bowl which is a high I have experienced 5 times. 2. Your team played and lost the Super Bowl which is a low I am experiencing today for the 3rd time. 3. Your team wasn't in the Super Bowl and your stomach is mangled from eating so much junk food. The reason this one hurts so much is that the end is coming. I'm staring down the pipe at a Habs rebuild, a Blue Jays rebuild, and a Patriots rebuild. I know the Patriots still have a couple seasons of being really good offensively but it's hard to think about that right now. Someone needs to talk about Blount, but I can't right now. The Eagles were one of the best covering teams all year, I should have known this would happen. I cannot believe it did. 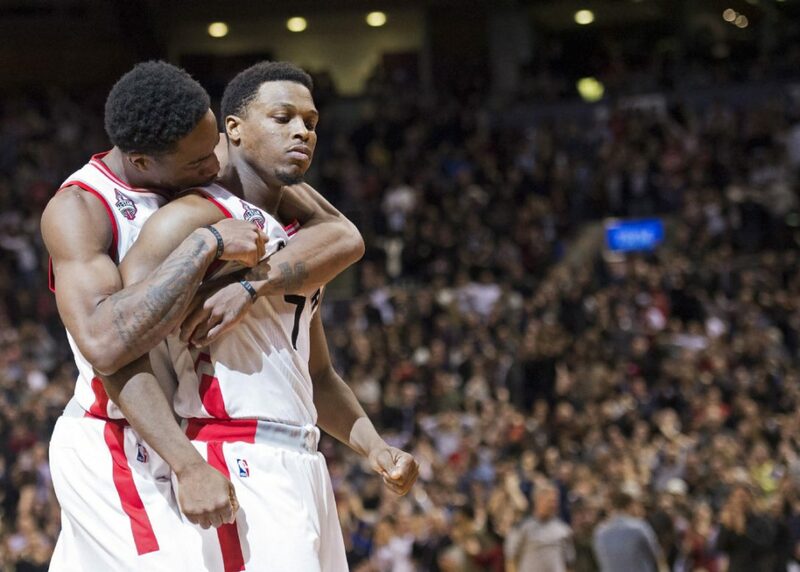 My first thought this morning is thank god for the Toronto Raptors. I need these boys this morning.